The Catlins is situated on the lower south east coast of the South Island. Getting here you can either access The Catlins from Christchurch International Airport, Queenstown International Airport, Dunedin, International Airport or Invercargill Airport. Many choose to fly to Queenstown or Christchurch and then self-drive through some very scenic areas of the South Island before reaching the one of the most scenic regions of New Zealand, The Catlins. You can check this driving directions website for more information. Dunedin and Invercargill Airports are the main gateway airports for The Catlins. Both airports host regular scheduled services connecting Dunedin and Invercargill with most other New Zealand airports. 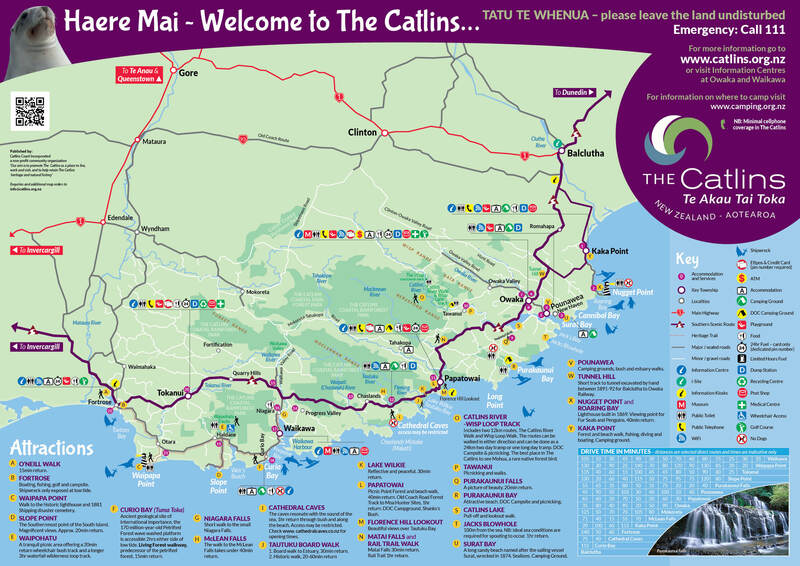 Please be aware that there is no public bus or rail transport through The Catlins other than the Bottom Bus and The Catlins Coaster. These services run more frequently during the summer months. Check their websites for timetables.